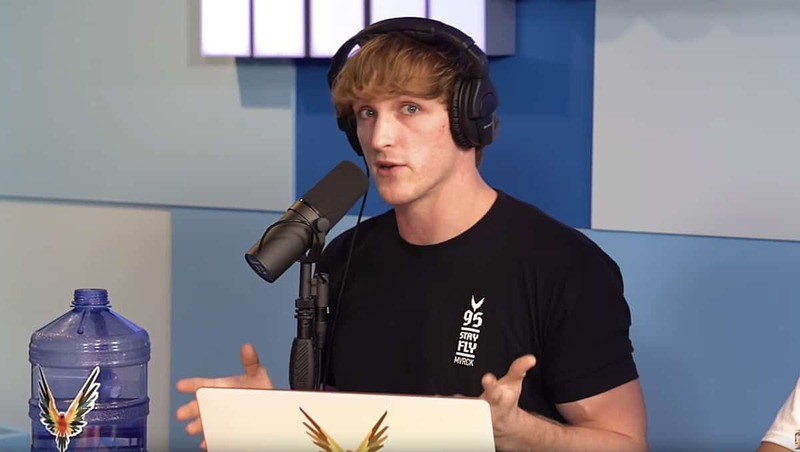 Vlogger Logan Paul hosted LGBTQ activist Josh Seefried on his ‘Impaulsive’ podcast Tuesday to address remarks he made earlier this month during a New Years Resolutions show. Paul had announced that he would be “going gay” for the month of March, and drew fire for the offensive remarks. Paul made headlines in 2018 over a clip he posted to his 15 million subscribers in which he mocked a dead body he filmed in Japan’s “suicide forest” at Aokigahara, Mt. Fuji. Paul showed a dead body and laughed about it. When he got close to the body, he asked, “Yo are you alive? Are you fu**king with us?” and took note of the body’s purple hands. Paul later deleted the video and posted an apology to Twitter. This week, Paul invited LGBTQ activist Josh Seefried (who founded the gay military group Outserve) to his podcast to talk about the “going gay” controversy. “Absolutely,” said Seefried. Seefried explained to Paul about the influence his remarks have over other young people. Paul argued that he believes it is “courageous” and “cool” to be gay and that “sexuality is so fluid these days” that it’s not a big deal to just “go gay” for a month. Paul then tried to justify his words by playing a clip of Joe Rogan saying Donald Trump would turn women gay, a statement which Paul pointed out got no media attention.